CHRISTIAN CDS - Buy Christian music CDs online, gospel, praise & worship. This online store page is constantly being updated. Your computer or servers cache may not show the latest page. To ensure you see the latest version of this web page close this pop-up window, then press Ctrl + F5 to refresh your browser. Shipping from our part of the globe to the USA costs US$9.90 for one cd, plus an extra $2.50 for every additional cd purchased. Delivery is approx 10 – 15 days. A special place for the friends of The Secret Place. “I love the anointing on your project. You have definitely found a stream in the River. It will undoubtedly bless many people." - Judy Gossett, a Grammy award winning producer who has worked with gospel music artist Andrae Crouch, Michael Jackson, Whitney Houston, and others. "Every note that is played, every word that is sung seems to carry the presence of God." "It’s the first time in ages that I actually lingered in God’s presence." "There are only a few music ministers that have impacted me to the degree that you have." "They are, quite honestly, some of the best worship songs I've ever heard." "Honestly I have not heard a compilation of worship songs of this kind for years... I played them and everything around me changed." Click on an album cover for a preview of the songs and album details. Click on a link to buy a cd online. Cancel your order at any time. Your order will be processed using 2CO's secure shopping cart. In the final step of the checkout process you are asked to select "Payment Method". Choose PayPal. Some currencies do not allow the PayPal option. If this is the case then simply choose one of the currencies below and the PayPal option will appear. "The music is wonderful and the order and download process was easy and flawless." A beautiful greeting card which includes the heart-touching song, You Need to Remember on cd. The perfect card to let friends and family know that someone cares. Gentle soaking music cd. One hour of anointed, restful, healing music. A wonderful aid to nurture our desire for more of Him. Easy-listening, instrumental soaking music featuring piano and acoustic guitar for christian meditation and prayer. This is the instrumental-only version of the album by the same name. With the trademark touch of intimate worship, O4eyes2c captures our longing to know more deeply the love of our Creator. An inspiring artistic journey combining painting, music and spontaneous dance. This is the second cd in the Secret Place series - a journey of worship designed to ignite our passion for God and bring us closer to Him. Nine original songs - one hour of unforgettable anointed worship. The first cd in a new series from "The Secret Place" - a truly unique and intimate worship experience. Prophetic, intimate, spontaneous, unique worship cd. Soaking instrumental worship - a truly unique and intimate worship experience. This is the instrumental version of the album by the same name. Live, spontaneous soaking worship cd from Pursuit. This is not a studio produced cd, it is raw worship from our Sunday morning services that captures something of the presence of God that we long for. 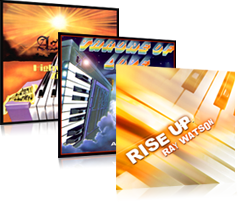 Classic praise and worship from The Secret Place's first 3 albums - Rise Up, Throne of Love and Highways to Zion. Click on the individual albums below for more information. An upbeat joyful gospel music cd which cruises through several praise numbers with rich "big brass" orchestrations, before landing into some softer material featuring salvation themes and intimate worship. "Quality contemporary music which incorporates elements of rock, jazz and classical, presided over by Watson’s soft Garfunkel-like vocals." A journey of the heart. Contemporary christian praise and worship music cd. Our first album recorded in 1984 - A classic!! 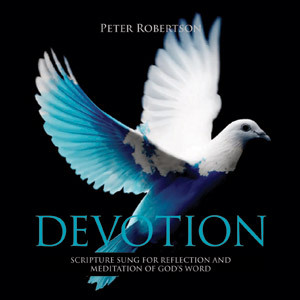 The following cds are highly recommended instrumentals by Peter Robertson - an anointed musician from Australia who does all of the guitar work for The Secret Place albums. Create a peaceful, restful atmosphere in your home, work or car. Sit back and relax and let the music take away all the stress life can bring. This easy listening music features gentle acoustic guitar and piano, with laid-back melodies and the ocassional soft sax. Let the music quieten you as you rest in a peaceful ambience. Create a peaceful atmosphere in your home with this instrumental music cd. Let this beautiful peaceful music take you into a world of tranquility and serenity. Steal away for a moment and allow this music to quieten and relax you. Create a soothing, carefree environment with these delightfully soft melodies. In the busyness of life we seldom take the time to quieten ourselves to hear that “still small voice”. This beautiful instrumental cd will help you meditate on the goodness of God and bring you to a place of rest. Beautiful musical arrangements of some of your favorite verses captured in song, for the reflection and meditation of God's Word. Teresa Thomas, a close friend of The Secret Place, is a very talented musician from the USA. Her compositions are inspired by Psalms, hymns, devotional writings, and the Hebraic roots of scripture. We are proud and blessed to feature her latest album 'Upon Your Shore' on The Secret Place - truly a work of art. There is a gentleness, yet a deep strength in the beautiful lyrics and melodic tunes of this album. Find strength, peace and a deep sense that God is with you as you enjoy Upon Your Shore.